Hi there 36th Avenue fans! 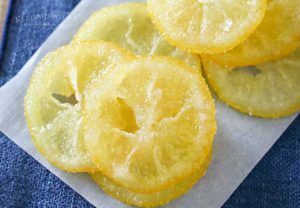 It’s Gina from Kleinwoth & Co & I’m so excited to be back today to share with you one of my favorite spring recipes- Candied Lemon Slices. You see, last summer we picked up a dwarf lemon tree. We planted it in a large barrel because we live in north Idaho & there is no way a citrus tree would survive here through all seasons. It was great to have all summer long & once we rolled it into the dining room for the winter it seems to be happier than ever. I absolutely LOVE having fresh lemons all year. In fact, we have so many that I often find myself wondering what to do with them all. But fortunately it’s easy to make them into a beautiful candied garnish. Oh & did I mention- they are so delicious too? 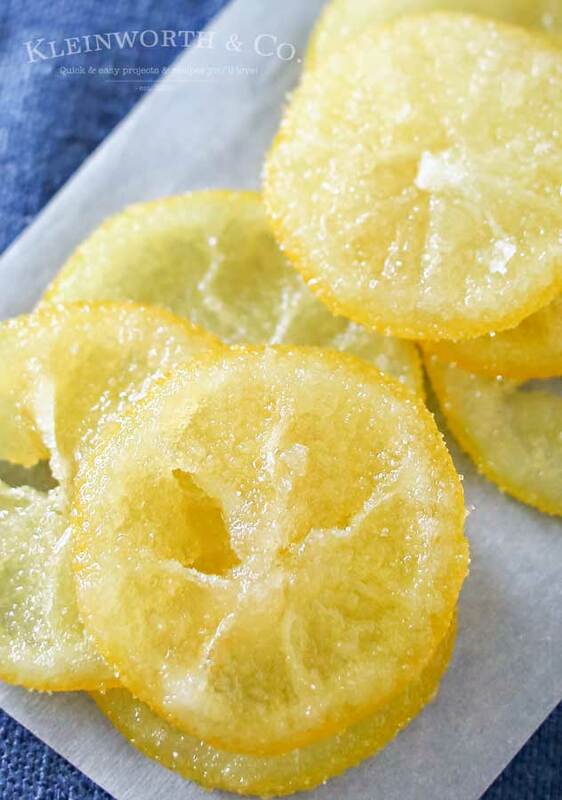 Yep- I absolutely swoon over these & if you love lemons, you will too. 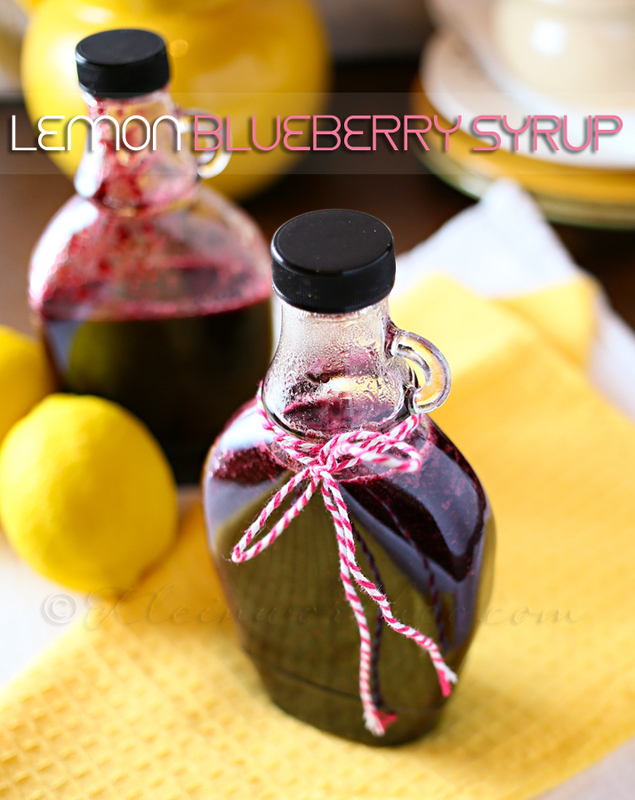 I love saving the lemon simple syrup afterwards & straining it into a mason jar. It’s a great addition when making beverages like iced tea & gives a great flavor boost in mocktails. 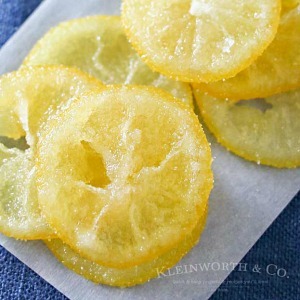 I even add some when making quick cook breads & glazes, then use the candied lemons on top for garnish. 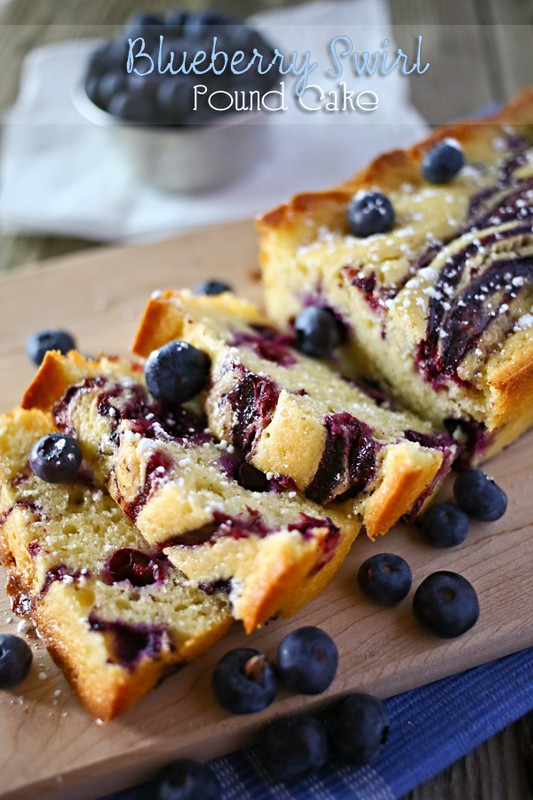 They come out so pretty & are just perfect for spring brunch, Easter festivities or a Mother’s Day breakfast. So versatile & everyone just raves over them. 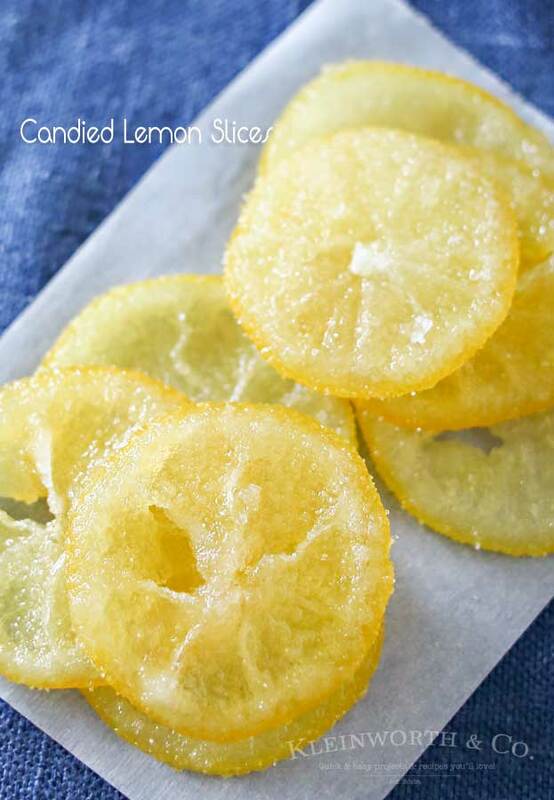 Simple candied citrus made for garnishing cupcakes, breakfast breads & more refreshing lemon treats. These are definitely the perfect topping for all your spring recipes! Thanks so much for spending some time with me today! I love being here with you all! Looking for more refreshing spring recipes! Here are some of my favorites! These look so good! Definitely going to try them!! 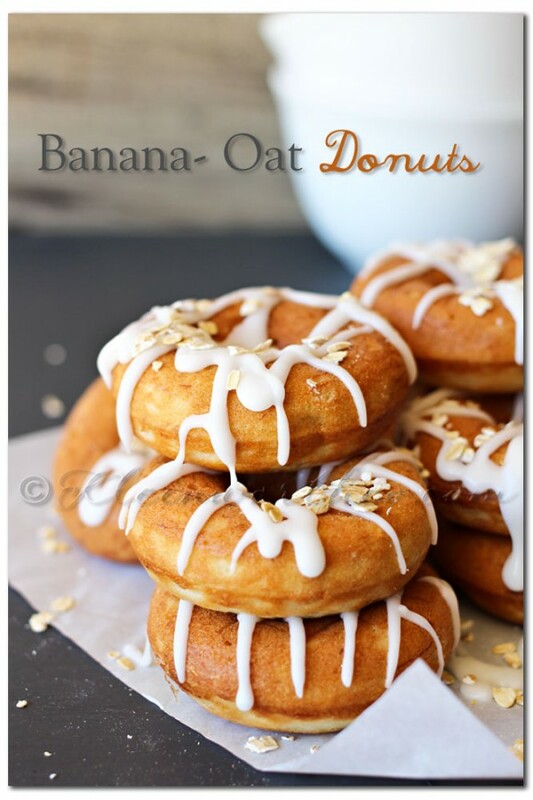 These looks so pretty, and sound very tasty!